In the first half of this two-part interview, Haag and Brabänder discuss the implications, challenges, and adjustments that enterprise organizations and service providers across all industries will have to address in order to keep pace with digital transformation. In this era of digitization, it is essential that companies are equipped for the future. How do you see the digital transformation phenomenon impacting IT and infrastructure management? Which technologies are driving innovation and enabling new business models? First, we have to consider where digital transformation is happening and what it ultimately means for business on an individual level. If we look back at what has changed over the past few years, we can safely assume that, in the future, everything that can be digitized will be digitized. Many things are either going completely digital or being augmented with some form of digital representation. Examples include the Internet of things (IoT), Smart Everything (smart city, smart home, smart machines, etc. ), the growing number of intelligent machines and robots, virtual and augmented reality, and the increasing confidence in algorithms (self-driving vehicles). We also have to consider the growing connectivity between people and devices (wearables), which are creating totally new application scenarios and continuously changing the market opportunities for businesses. This results in evolving, new business models that can quickly threaten existing ones. Ultimately, all of these technologies require the best IT integration, telecommunications, and data center infrastructures. Which industries are being impacted by digital transformation? Picture digital transformation as a vortex that’s engulfing traditional business models and dragging down entire industries. Naturally enough, the leading pioneers are well-established in online and service sectors. E-commerce companies like Amazon have emerged as market leaders in the public cloud segment and are expanding their core business to include IaaS and data center management. IT companies, such as Google, are investing in self-driving cars and aim to achieve IT superiority in the vehicle cockpit. Traditional carmakers still deliver mobility, of course, and they are increasingly offering additional services, such as finance or location-based services for drivers. On the other hand, we’re seeing banks closing branches and moving their business online. Indeed, banks and financial services providers are at the heart of the vortex right now. The new breed of FinTechs are using novel combinations of financial processes and technologies to offer a range of digital financial services for both private and business customers. Notable challengers in this market include PayPal, Zopa, Lending Club, auxmoney, and Giromatch. Businesses have faced an accelerating rate of change in recent years as a direct result of digitization. Companies are failing, being taken over, or being driven out of markets quicker than ever before. Is any industry still immune to all this? I don’t think so. We’ve seen hotels and taxicabs disrupted by Airbnb and Uber, respectively. Also, the digital transformation has affected industries like agriculture, SMS providers, newspaper publishers, travel agents, and many others. To what extent has the digital transformation changed the workplace reality of the professionals involved? How has it transformed the role of CIO and the roles of individual departments? Corporate IT departments, especially the CIOs, are evolving from IT administrators into business partners and innovators within their companies. Their input is valued as vital in designing business models based on new technologies. Rather than serving mere support functions, IT professionals now drive innovation and advise the various departments in the workplace. When leading CIOs in the automotive industry discuss today’s IT strategies, they’re no longer primarily concerned with managing in-house infrastructures or cloud technologies. Rather, they focus on strategies designed to achieve technical supremacy in the cockpit. Of course, the underlying technologies are an important tool when it comes to market flexibility. They’re essential for the fast and flexible deployment of IT and telecommunications infrastructures, but it is precisely here that we’re now witnessing a shift in the IT supply chain as a direct result of these trends. Eric Brabänder & Horst Haag discussing the impact of the digital transformation on the ICT value chain. How will digital transformation impact corporate IT, especially in terms of network infrastructure and data centers? As business lifecycles shorten, IT must adapt with speed and agility to meet changing demands. As far as the end user or customer is concerned, it is irrelevant whether the required IT or telecommunications infrastructure is located and managed in-house or purchased from an external provider and hosted in the cloud. The IT services must tend to the end user quickly and do exactly what the user requires. That’s what the customer cares about most. IT is not an internal supporting function anymore but will move to the core of the value chain of any organization as IT services will be a part of any product of digitized companies. Thus, managing proprietary infrastructure takes a back seat to establishing and maintaining an efficient, end-to-end management of the IT supply chain. The entire approach to IT is shifting from “plan, build, and run” to “source, make, and deliver.” In terms of resources, these strategies demand a comprehensive service management capability that covers multi-cloud environments. Market intelligence firms, such as IDC, are talking about new roles in IT, including the IT service broker. Someone holding this position would pool individual elements from traditional IT, private cloud resources, outsourced IT, and external cloud services and combine them in various ways to satisfy specific business needs and present to the end user as an integrated solution. That is one thing that will remain the same despite all the changes in market conditions and technology, for example, the clear definition of services exchanged between all participants in the IT and telecommunications supply chain – regardless of whether the required infrastructure is owned and operated by the service provider or sourced externally. What sort of projects or strategies should IT managers initiate to ensure their company keeps pace with digital transformation and retains its competitive edge? It’s obviously important that companies understand the impact new technologies have on their business model, so they can respond accordingly by allowing CIOs and CTOs greater input into overall strategic planning. To rapidly implement the required changes, managers should also initiate strategic projects that provide them with the processes, methods, and tools they need to manage their IT supply chain effectively. The fact that many organizations are not yet in that position is something we learned from a prospective client. ICT providers have to change their processes from a project-oriented, build-to-order approach where you plan, build and run each individual service for a customer. Instead they should shift toward an industrialized ICT factory approach involving a standardized and modularized ICT production line to provide customizable, pre-defined services to your customer. This change is important for ICT providers to increase their time-to-market to support new business models, improve their agility, and shorten their time-to-deliver. Therefore, having roles, methods, and tools for structuring and describing these IT services is important. Specific methodologies, such as the bE_Method from bluEDGE, or new architectural strategies, such as the use of micro-services, can promote and support the IT change process. We’re observing an increasing number of projects of this kind among clients who are prepping their IT organizations. These projects are of strategic importance for larger clients and are initiated and sponsored by the respective CIO. This is the first part of a two-part series focusing on digital transformation and its impact on information technology. 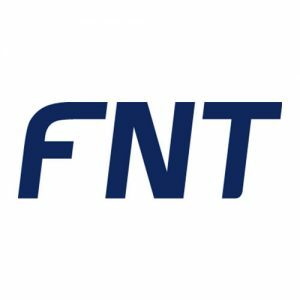 In the next post, Haag and Brabänder discuss the current state of the ICT industry in the wake of digitization and how FNT Software’s product line is helping enterprises and service providers keep pace with IT change.